Excursion to Russky Island by car.You’ll cross the two enormous bridges across the Golden Horn Bay and Eastern Bosporus strait, the latter of which would be a largest cable-stayed bridge upon its completion. Russky Island is opened for Primorye capital's residents and guests, the proximity to the city and convenient transportation turned it to one of the most popular recreation places. The island was significantly transformed after holding the APEC Summit on its territory in autumn 2012. Now you have a chance to watch the large international business center, where summit's main activities will take place, Far Eastern University's campus, which has united Vladivostok's four largest universities, view points from where you can see Primorye shores with fantastic hills, relict forests, beaches with picturesque coastal landscapes, azure bays. Sightseeing tour of the city including visit to the Museum of the Regional Studies. Boat trip on the river with a folk concert. Master class on matreshka painting. Sightseeing tour of this unique city, a convenient location in both strategic and economics ways on the cross-roads of Russia with China and Mongolia. Ethnic and cultural diversity of this area offers a unique understanding of its heritage of the world's religions. Visit functional churches: Ivolginsky Datsan, Odigitria Cathedral, Holy Trinity Church. You will be welcomed in a Buryat family. Excursion program, reception in a traditional Buryat Yurt and a folklore program. Hospitable Buryats will teach you how to cook the traditional Buryat dish pozy, how to play dice, use a bow, wear a traditional Buryat costume, assemble and disassemble a felt yurt. 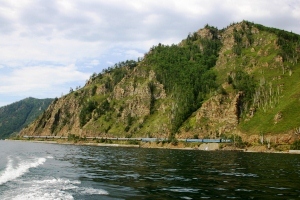 Platform observation, Chersky Stone observation point with beautiful view on the southern part of the lake and the source of the Angara River is one of the most favorite places for tourists and photographers. Visit to Baikal Museum which displays the flora and fauna of the lake. Visit to local fish and souvenir market. The world’s largest freshwater lake, containing approximately 20% of the world's unfrozen surface fresh water, it is the deepest and the clearest of all lakes. Lake Baikal is the 7th largest lake in the world and is considered to be the world’s oldest lake dating back 25 million years. The lake is completely surrounded by mountains, contains 27 islands and hosts over 1,700 species of plants and animals. The most amazing fact is that two thirds of all Lake Baikal's species are unique only to this lake and cannot be found anywhere else in the world. Tour to the historical city center including a visit to the Decembrist House, the “wooden lace” house, also called the “House of Europe”, the most beautiful and amazing streets of the city – Bolshaya Prospektnaya, today – Karl Marx street. Free time at the “130 quarter” – “Irkutskaya Sloboda”, a quarter with reconstructed city buildings of the 19-20 c.
Founded in 1661 as a fortress on the distant Russian border, Irkutsk soon became a large merchant city; a gold mining and trading post with China. 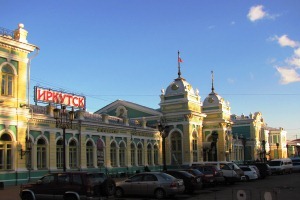 Before the revolution, Irkutsk was often referred to as the Saint-Petersburg of Siberia. During the tour you will get acquainted with many of the well preserved historical monuments: the railway station, Church of Our Savior, Epiphany Cathedral, Church of the Transfiguration, the reconstructed Alexander Nevsky Cathedral, wooden cottages and the so called "lace house," also known as the "House of Europe," the Decembrists house, beautiful streets of the city and the lively market hall. 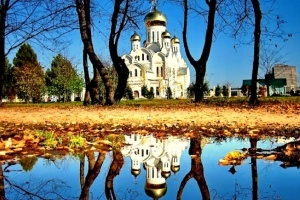 You will reach a region with great history and unique Siberian architectural monuments and nature. Located in the southwesten part of Siberia on the banks of the Ob river, Novosibirsk was founded in 1893 at the future site of the Trans-Siberian Railway crossing of the Siberian River Ob. At that time it was named Novonikolayevsk in honor of Saint Nicholas and after the reigning Tsar Nicholas II. In 1907, with a population exceeding 47,000, it was granted town status with full rights for self-government. Throughout its history, Novosibirsk experienced steady economic growth thus becoming a modern city with a population of 1.5 million, the third largest city in Russia, mostly known for its advanced scientific research and technological center, Akademgorodok. Founded in 1723 and named after Peter the Great's wife, Empress Ekaterina, Yekaterinburg was one of Russia’s first industrial cities. Today it is the fourth-largest city in Russia. It is located at the border of Europe and Asia and is mostly known for the tragic events that took place soon after the October Revolution, on July 17, 1918, when Tsar Nicholas II, his wife Alexandra, and their children, Grand Duchesses Olga, Tatyana, Maria, Anastasia, and Tsarevich Alexey were murdered by the Bolsheviks at the Ipatiev House in this city. 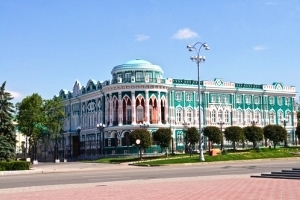 Grand City Tour «Old Kazan». The Tartar capital is situated on the picturesque banks of the Volga. Within folklore program “Tugan Avalim” you will enjoy Tartar epic. The capital and the largest city of the Republic of Tatarstan, Kazan is located on the picturesque banks of the Volga River. 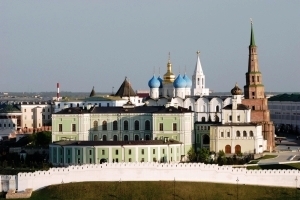 The Kazan Kremlin is the main historic site of the city and is on the UNESCO World Heritage list. Built at the behest of Ivan the Terrible, it is the home of many old buildings including The Annunciation Cathedral, dating back to the 16th century, the leaning Soyembika Tower, the Church of the Exaltation of the Holy Cross, Peter and Paul Cathedral, the Spasskaya Tower, and the recently built Qol Sharif mosque. Walk along the Arbat Street. 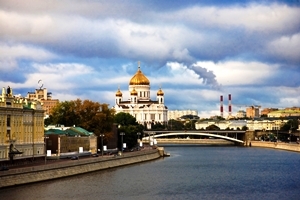 The Cathedral of Christ the Savior. Sightseeing tour of Moscow metro stations. The City Tour of Moscow will offer excellent views of the Kremlin, Red Square, Kitay Gorod, Tverskaya, Arbat, and Zamoskvorechje. Later we will visit Red Square and the Kremlin with its golden domes of St. Basil’s Cathedral, the State Historical Museum, the elegant arcades of the GUM department store, and many other landmarks. Inside the Kremlin the main attractions are the three Cathedrals of the Assumption, Annunciation and Archangel, which date back to the 15th-16th centuries. Other landmarks are Ivan the Great Bell Tower, Tsar Bell, Tsar Cannon, Hall of Facets, Terem Place, and the Great Kremlin Palace - the official residence of Russian presidents. • Towels, bathrobe and slippers available onboard of the “Imperial Russia” train.